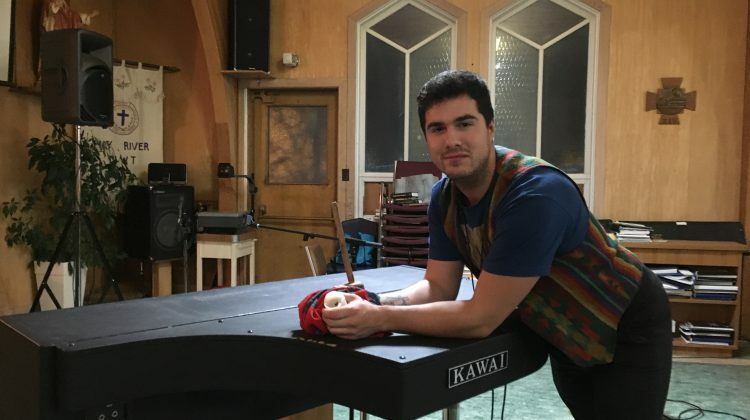 Jeremy Dutcher doesn’t put much stock in the word reconciliation. Rather, the classically trained musician from Tobique First Nation who exploded onto the Canadian music scene after winning the 2018 Polaris Music Prize, says it’s about gathering and experiencing sound together. 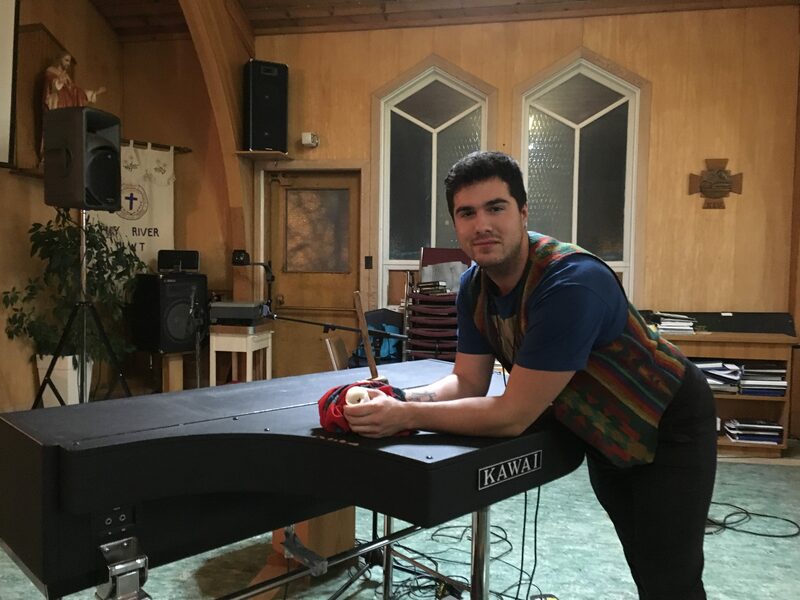 Dutcher played to an audience of 80 Saturday at Hay River’s Our Lady of Assumption church. The February 9th show was the last on a tour of five NWT communities with the Northern Arts and Cultural Centre. Dutcher says he has witnessed ‘the true diversity’ of the region on his NWT tour. He has also heard stories of how people relate to their Indigenous languages. Dutcher performs entirely in Wolastoqey, the language of the Wolastoqiyik whose traditional lands are along the Saint John River. Around 350 people identified the language as their mother tongue in 2016, according to the Canadian Encyclopedia. A classically trained musician, Dutcher found inspiration for his break-out album Wolastoqiyik Lintuwakonawa in wax cylinder recordings of early 1900s Wolastoq songs. ‘All artists are problem solvers,’ Dutcher says. The problem he saw was these songs stored away at the Canadian Museum of History rather than alive in his community. Creating the album has also been his own personal journey of reclaiming a language which was suppressed for generations who attended residential schools. “This whole record process is a culmination of five years of work, but probably more accurately 28 years of work. This is me, this whole project, this has been my journey of reclamation of language,” he says. Shame for one’s culture and identity was taught in the schools, Dutcher says. He sees himself as part of the first generation to be doing ‘incredible things’ without this shame. The praise for Dutcher and his work are far from over. CBC announced January 29th his Wolastoqiyik Lintuwakonawa is up for a Juno for Indigenous Music Album of the Year.